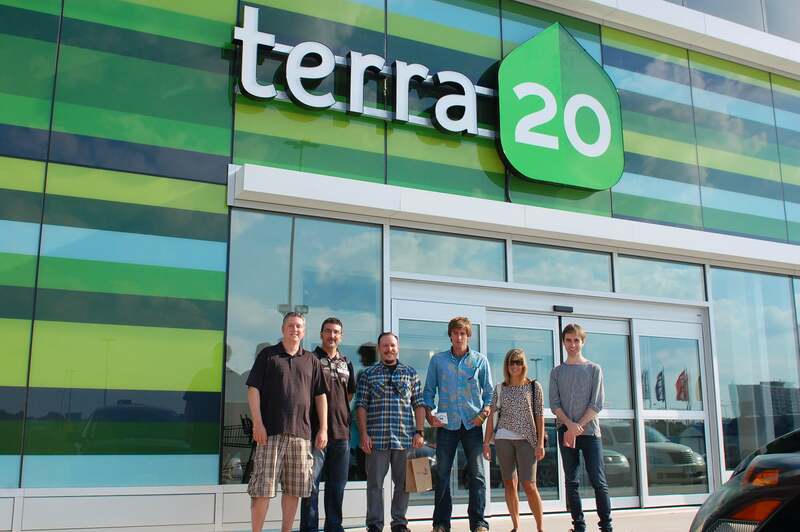 Yesterday the Jump team hit the road to visit the newly opened terra20 one stop eco-store in Ottawa that we have been developing for a year and a half. Located in the the Pinecrest Shopping Centre, the store is really quite stunning, both from the outside and inside, as well as the first of its kind in North America. 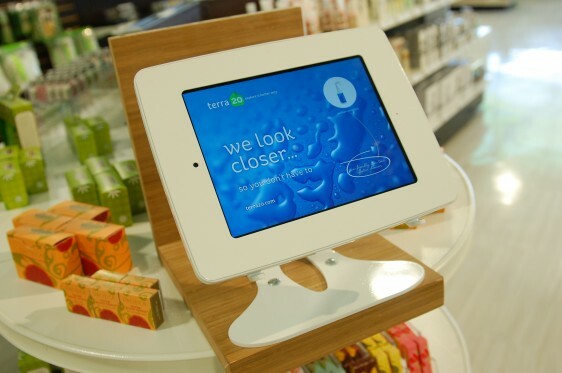 terra20 simplifies the search for better, more sustainable product choices, offering over 12,000 eco-products across 16 different lifestyle categories. 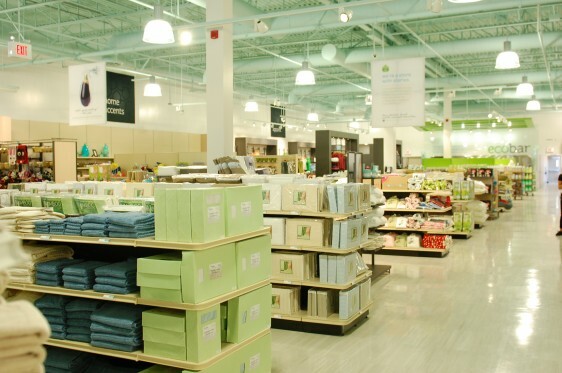 The space covers everything from personal care and cosmetics to apparel and baby items. 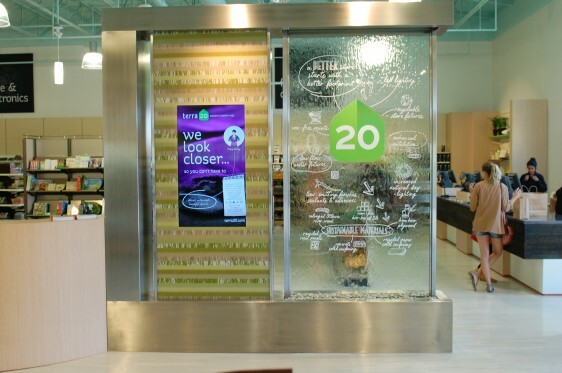 The design of the store directly reflects the company’s commitment to better, greener choices, incorporating numerous recycled and sustainable products and innovations. After putting so much into creating terra20’s first location, it was a real thrill for the Jump team to experience the finished product, especially when it looks so amazing. When you walk inside the store there is an immediate feeling of freshness to the space. The light, calming feel of the environment makes for an ideal retail experience, while the staff members are universally friendly and highly informed on every product. At the entrance, a striking waterwall with messaging on some of the sustainable initiatives undertaken within the space adds to the natural feel. 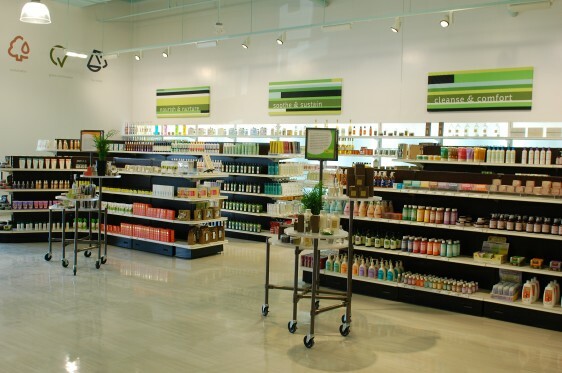 Visitors are also immediately struck by the store’s back wall that features the space’s centerpiece – the Ecobar. 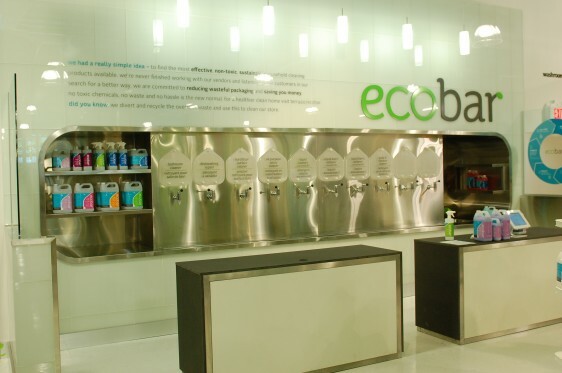 With the largest assortment of eco-cleaning products in Canada, the Ecobar allows customers to refill their empty containers, reducing the need for wasteful packaging. 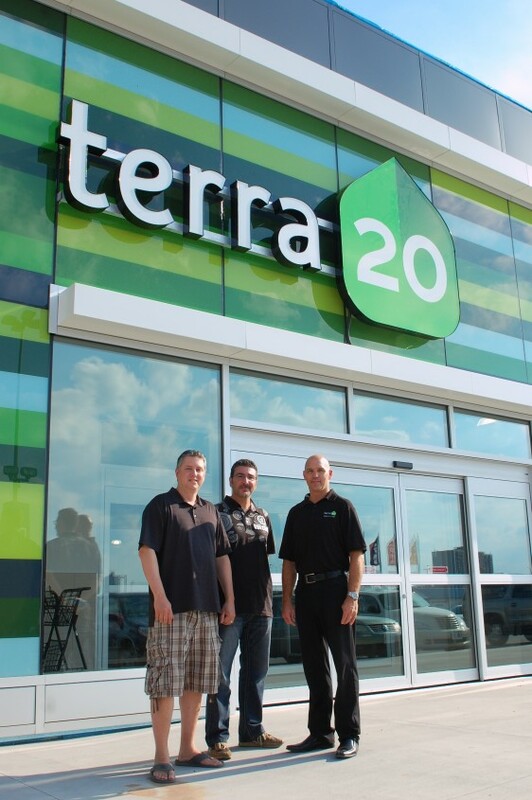 After spending a few hours browsing the store and learning more about the products, it still felt like we only got a small taste of everything the terra20 experience has to offer. And don’t worry, we made sure to keep in mind the importance of sustainability when planning this outing, (the team car pooled and drove in eco mode the whole way to cut down on fuel). A big congratulations to our clients Steve, Bill, and Sandra, and a big shout out to our design team for creating a great store and experience. Get ready to explore a better way Ottawa! A new eco-shopping experience awaits. Jump hasn’t been the only ones visiting the store lately, and this morning Canada AM came by to check it out. Watch the clip here and see the store for yourself tomorrow! Also be sure to jump back to our news blog in the near future as well as our environmental design page for upcoming updates on the terra20 store and Jump’s design process in creating this one-stop eco destination.